What Are The Best Road Trip Snacks? We Have The Answer! There are a few things that are a must have for any road trip. A great destination, a carefully selected playlist, and some great road trip snacks. But what are the best road trip snacks? We did an informal survey. Are your favorites on the list? Check it out below. This post is sponsored by the National Association of Convenience Stores (NACS). All opinions are 100% my own. Heading on a quick road trip! Have our snacks ready! My family is taking quite a few road trips this summer. Salt Lake City, California, Oregon Coast, Yellowstone. As we head out on each road trip there are a few things that I always make sure to take. My trusty iPod (which was recently stolen, so now I am taking over my husband’s), Sunglasses, a comfy travel pillow for when I am not driving, and of course, some great road trip snacks. Now, I have some strict rules about road trip snacks, and every time we stop, and my kids get to pick out a new snack, I remind them of those rules. So what are those rules and why do I have them? We bring some of our snacks from home, but my kids love to pick out a new snack or two each time we stop. 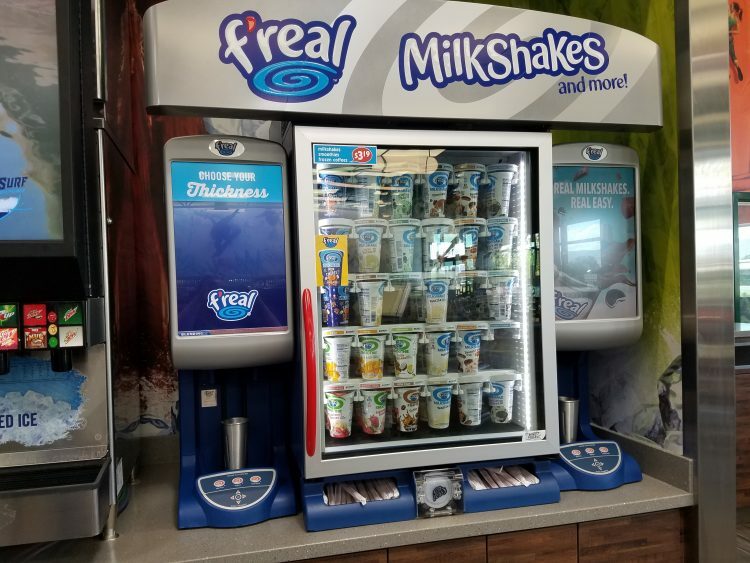 We usually choose to stop at a convenience store so we can fuel up, use the restroom, and grab a bite all at the same time. I mean, the 2018 NACS Summer Drive Survey found those are the top reasons road trippin’ families stop. We just like to get them all out of the way on one stop so we can get to our destination sooner. While we are stopped, my kids each get to pick out one or two things, as long as they follow these rules. 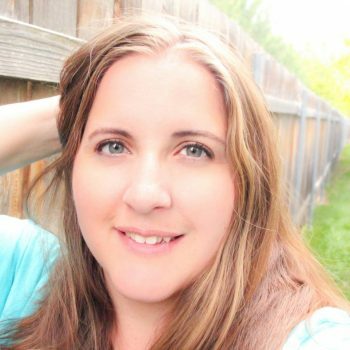 I do not allow my kids to pick out anything chocolate…specifically chocolate candy. Why? Because chocolate melts. And I don’t want that mess all over the car, and all over their car seats. The only exception to the no-chocolate rule is when we are going camping and we take chocolate bars to make s’mores. So when my kids ask for a chocolate candy at the convenience store, the answer is always NO! 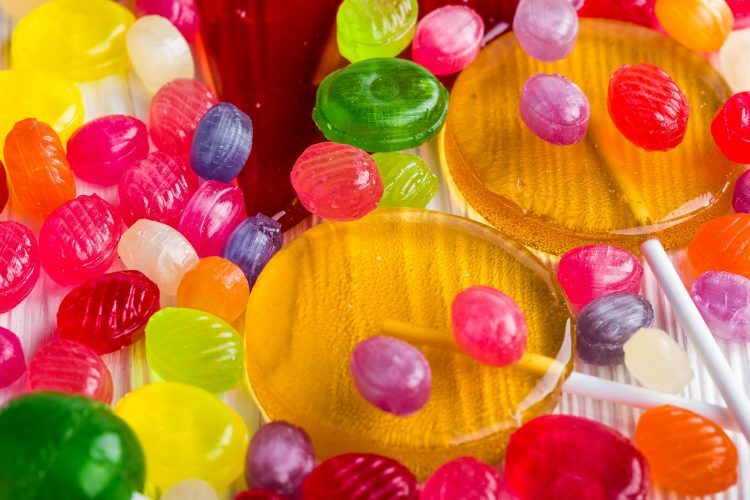 Much like the no chocolate rule, my kids are not allowed to choose suckers, or hard candies that are meant to be sucked. I don’t think my kids have ever wanted to finish a sucker. And when we are on the road, what are they going to do with that piece of hard candy they no longer want? Exactly. It will end up stuck to a seat or cup holder somewhere. Again, this is all about the possible mess it could make. My young children do not get to have soda in the car. As they get older, that rule will change, but my children are eight and under, so soda is off limits in the car for them. Sometimes my kids want to try out something new. I love that. But what I don’t love is when they decide 3 minutes back on the road that they don’t like the item, and then beg for somebody else to share their food. So I have made a rule that you can try something new, but if you don’t like it, you have to wait until the next stop to get soemthing different. You can’t beg your siblings or mom and dad to give up some of their snacks. They can however have the snacks we brought from home until we get to the next stop. Want this yummy milkshake? You have to get a protein as well. I don’t want my kids pumped full of sugar the entire trip, so we have a rule that for every sugary or carb filled snack they must pick a protein. The protein can be jerky or something else, but they must pick a protein. What Are The Best Road Trip Snacks? 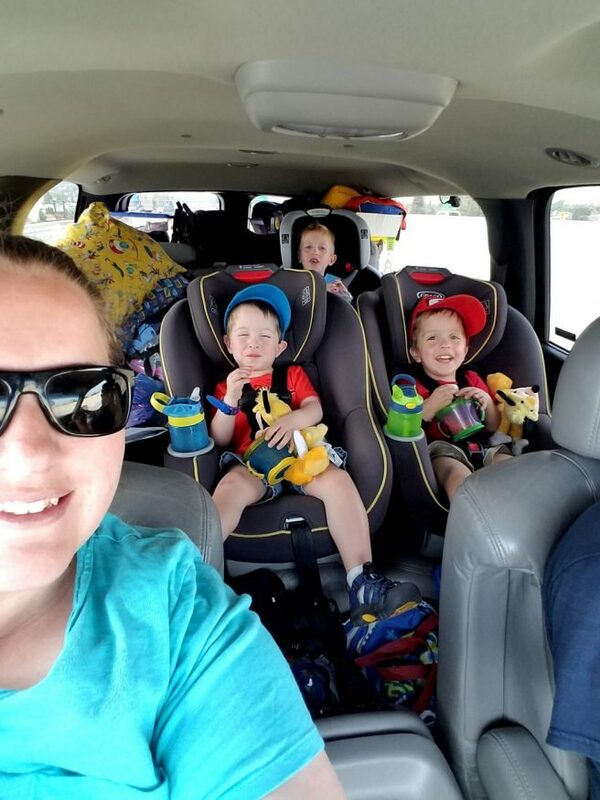 My family was heading out on a road trip this weekend to explore a few state parks. 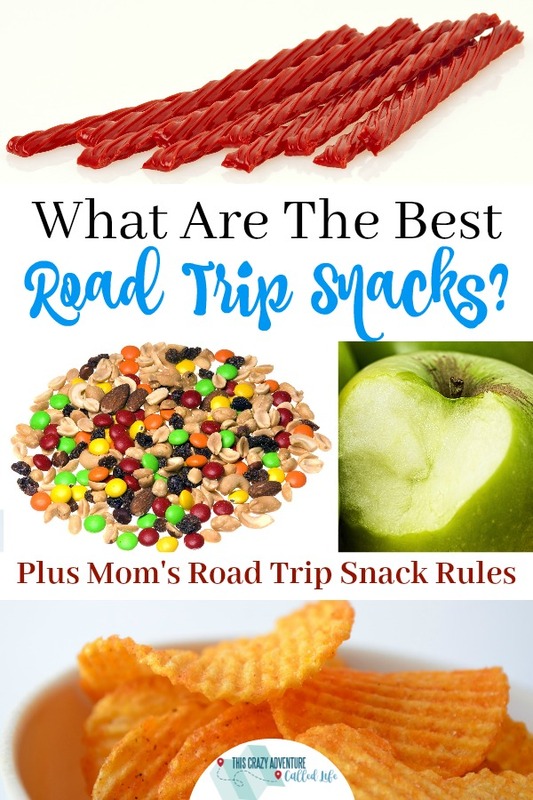 When I was reminding my kids about the road trip snacks I started wondering…what are the best road trip snacks. Inspired by the NACS Survey, I decided the best way to decide this important list was to have a totally informal survey in the Disneyland With Kids Facebook group. So here is what I learned from that totally impromptu survey. Believe it or not, most of the people who responded to my little survey marked healthy snacks as their favorite options. Many also commented that they preferred fresh fruit, a piece of cheese, and maybe some nuts or trail mix. In fact the number of people that commented fresh fruit and trail mix surprised me. Since we are often traveling to California, we rarely take fruit with us, and it isn’t something I have thought to purchase at the convenience stores we stopped at. After this survey, I think it will be on my mind a bit more, and I noticed this weekend there were plenty of healthy options at the stores we stopped at. One suprising theme that came up was about Red Vines. See, my mom always took Red Vines or Twizzlers on road trips. I personally don’t like them (I know, I know) but my husband always seems excited to grab some. So I thought maybe they were popular and put them in the survey. Many people commented that they were their favorite snack, their mom’s favorite (like mine) OR that they used to take them pre-kid. All of the commenters regarding Red Vines were moms. So interesting! So below are the answers to the survey. While I didn’t take them into account to much this time, I know I will next time. I love that all of these items can be found at the convenience store as well. Then I don’t have to take a ton in the car. Jerky was one of the highest ranking answers for road trip snacks. My family loves jerky too. I get motion sickness in the car, and the smell often makes it worse, but I do let them pick some up. Especially becuase of my protein/sugar rule. The convenience store we stopped at this weekend had a TON of types of jerky. Seriously it was amazing! 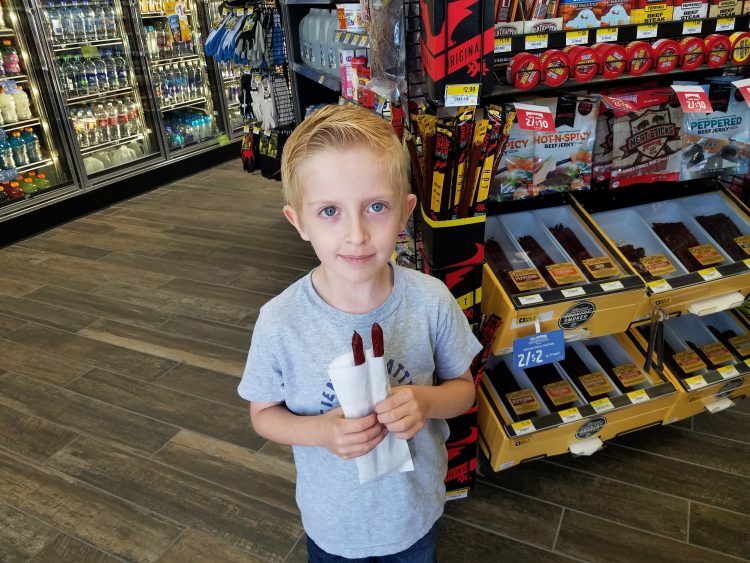 My husband chose a spicy jerky, my oldest chose a teryaki jerky and my twins chose pepperoni jerky. JERKY! Look at all those kinds of jerky! Trail mix was one of the top responses for road trip snacks as well. While people didn’t say why, I know my husband loves trail mix or sunflower seeds to snack on while driving to help him stay alert. I already mentioned how fresh fruits was one of the top responses for favorite road trip snacks. I think it is great that so many people are trying to eat healthy on the road. Especially since road trips can involve a lot of sitting, it is a great way to minimize the weight gain on vacation. I think everyone takes these items on a road trip. A bag of chips especially. 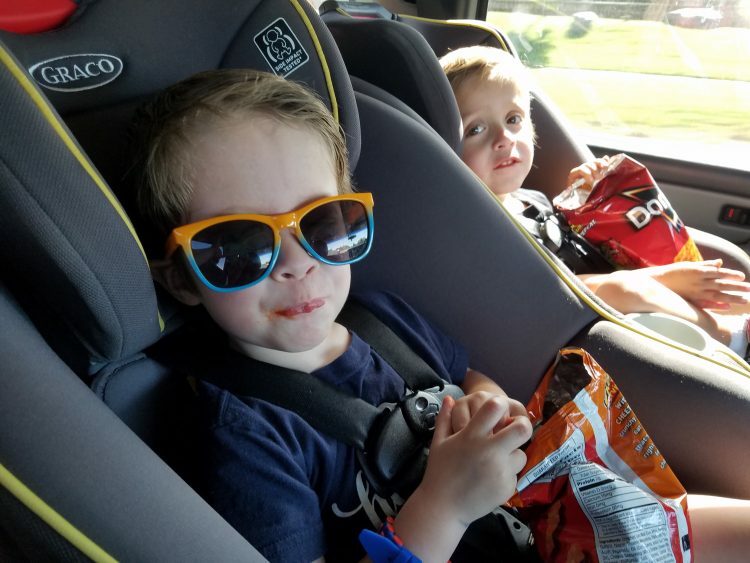 If you have young kids, Goldfish is definitely a top snack item for your road trip. The one that I was surprised so many people metioned was crackers. I take crackers because, like I mentioned, I get motion sickness. A couple crackers can help if I start to feel queasy. The twins picked out chips on our weekend road trip. I like to take cheese for both my family and my self, but I had no idea so many other people like to eat cheese on their road trips. In fact, cheese with crackers or chips were often mentioned together. I love to eat some cheese before or after chips to combat the salt. The snack my mom always took made the list as one of the best road trip snacks. I think maybe it is nostalgia that is making it such a popular choice, or maybe people just really love this road trip treat. I am kind of shocked this (and number 8) are on the list. In my mind I just see this being a large mess. But yep, a lot of people said they think they are great snacks for a road trip. Again, I just see a big mess. Many mentioned they like to take these for their kids. I am guessing these are more of a “while we are stopped” type snack. I could see that working. The convenience stores we stopped at over our road trip all had well kept seating for those wanting to grab a bite to eat. Fruit snacks are another popular snack item. The individual packages make it so you can give just a few to each child, so hopefully they won’t have the chance to get them everywhere and make them all sticky. Man, I just realized I am probably not the funnest mom on road trips. I keep thinking of how messy all these snacks are. 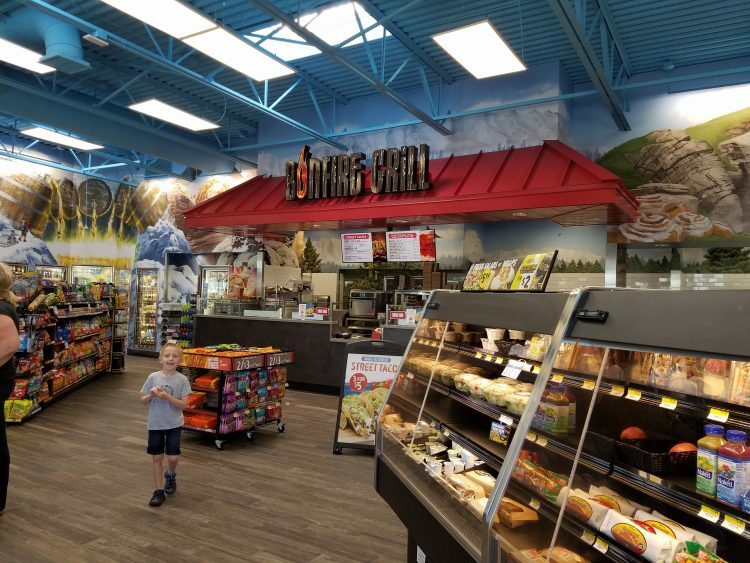 As you head out on your road trips this summer, be sure to pick up your road trip snacks, stop for gas, and use the restroom all in one swoop by visiting a convenience store. Getting it all at one stop gets you back on your adventure sooner.